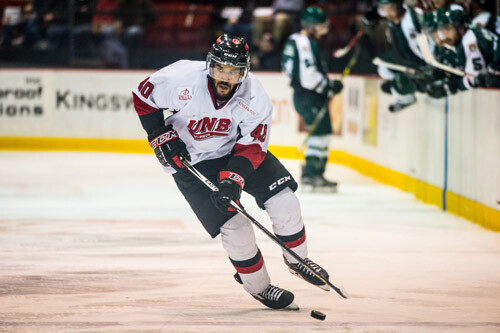 Researchers from around the world have started to land in Fredericton for the Hockey Conference at the University of New Brunswick on July 6 and 7. The conference will see 50-plus researchers and practitioners present and discuss hockey topics, including analytics, gender, coaching, the body, history, nationalism and more. Hockey experts from the city, province, and beyond will attend. These include former Olympic and NHL coaches Ted Nolan and Tom Coolen, NHL scout Luc Gauthier, Montreal Canadiens psychologist Dr. David Scott, and former NHL coach Mike Johnston. Paralympic sledge hockey gold medalist Billy Bridges will provide the keynote address at a banquet dinner on July 7. Students, coaches, and participants are also invited to play in a sledge hockey game. Coaches are able to complete one National Coaching Certification Program course (the Basic Mental Skills Module). Through partnerships with Government of Canada, City of Fredericton, Easter Seals New Brunswick, Hockey New Brunswick, Coach NB, Fredericton Youth Hockey Association, Windsor Castle Bar, St. Thomas University and the University of New Brunswick Faculty of Kinesiology, the Hockey Conference provides academics and practitioners an opportunity to discuss hockey around the world and through different lenses.